Take a dive into how Machine Learning and AI have impacted the way we live our daily lives. From voice assistants to self-driving cars, machine learning is revamping not only the way we interact with machines but also how we interact with the world. It is becoming one of the hottest technologies in the market, making mobile apps and services smarter and better than ever. According to IBM, about 90% of data existing in the world has been generated in the last 2 years. On an average, we generate about 2.5 Quintillion bytes of data every day. This massive amount of data can’t be processed and managed by humans physically and this is where Machine learning comes into the picture. Usually, people interchange the terms Artificial Intelligence and Machine Learning. However, they are different. 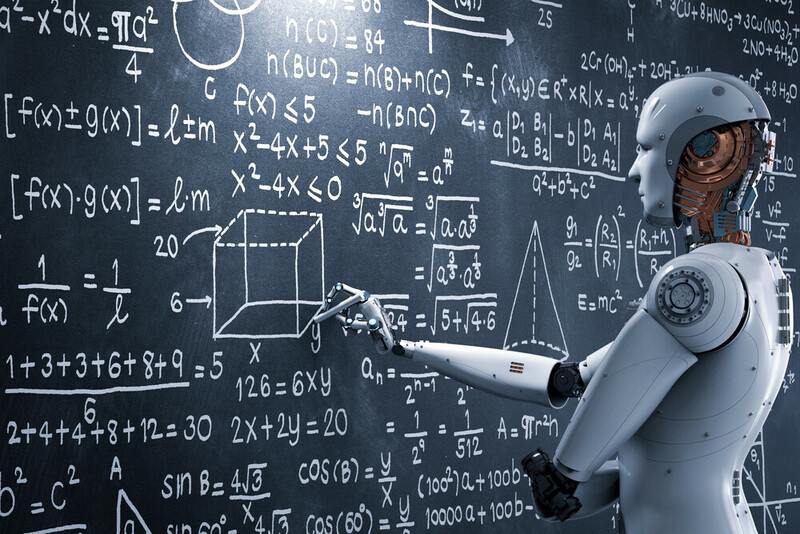 Artificial Intelligence is the concept of making machines capable to performing tasks without human intervention, such as building smart machines. While Machine learning (ML) is a subset of AI based on the idea of making computer algorithms that automatically upgrades themselves by discovering patterns in existing data without being explicitly programmed. The whole processing of ML tools depends on data. More the data an algorithm obtains, more accurate it would become and thus, more effective results it will deliver. Machine learning uses various techniques for data extraction and data interpretation. However, the two prominent techniques are Supervised learning and Unsupervised learning. Supervised machine learning creates a model that could make predictions based on data in the presence of uncertainty. Whereas, Unsupervised machine learning determines hidden patterns or inherent data structures, taken into consideration for drawing conclusions from data sets comprising of input data without labelled results. Have you ever wondered how Facebook shows ‘People You May Know’ or Amazon suggests recommendations? Well, it’s all possible because of Machine learning. The technology is used to process an extensive amount of user data: personal information, search history, content interactions, etc. to offer personalized data that we see. Netflix saved nearly $1 billion due to machine learning algorithm that recommends personalized TV shows and movies to the users/subscriber. Machine learning algorithms are also used to find and process objects illustrated in images. This concept is widely used by various applications like dating apps, photo editing apps, user-authentication apps, etc. for offering services. In fact, Google is relying on this technology to let you perform ‘image searches’ and Facebook is working on launching an ML-based feature that describes images to vision-impaired people. Ever thought how Apple’s Siri responds to your commands? How Amazon echo let you place an order or get weather report by just speaking loudly? How software offers speech-to-text translation facility? This is also possible due to Machine Learning’s feature of Speech recognition. Machine learning is also significantly used in Banking/finance industries to cope up with fraud. ML tools scan the transactions you make in real-time and gives a fraud-score. If the fraud-score exceed a specific threshold, your account is automatically rejected. If asked to done manually, this would have been nearly impossible to review thousands of data in seconds and take a decision. PayPal has various machine learning tools that study billions of transactions and determine which is legitimate and which is fraudulent. Thus, helps in dealing with money laundering cases. Machine learning is also becoming a buzzword in the healthcare industry. It is taken into account for different purposes like drug discovery and robotic surgery. Recently, Google created a machine learning algorithm that helps detect cancerous tumours on mammograms, while Stanford is using the technology to identify skin cancer. Machine learning tools along with Big data analytics is used by the mobile app developers and marketers to understand how the users interact with a mobile app and group the data under different categories for predicting next step to be taken for engaging users and increasing the conversion rate. In 1952, a UK graduate created a tic-tac-toe game employing the basic of Machine learning. And today, here we are with video game engines like Unreal and Unity that uses machine learning for analyzing the video feeds from games and understand how to interpret what it sees. Thus, delivering a breathtaking video game experience to us. Machine learning has already established its importance in our daily lives, and a lot more is yet to uncover. With the booming market for Internet of Things (IoT) solutions – the technology connecting billions of devices and their data streams altogether – it’s a sure that more digital data will be obtained which gives a hint of increasing demand for machine learning. At present, ML-based NLP (Natural Language Processing) is still in its infancy stage. Right now, there’s no such algorithm available that could understand that various words have a different meaning in different situations and act successfully. However, it is expected that such algorithms will come into existence in the future. We will receive higher personalized services with lesser ads in the future. In the future, mobile devices will have the potential to conduct ML tasks; presenting newer opportunities for speech recognition, face detection, image processing, etc. In 2014, Skype launched an application called Skype Translator which translates speech from one language to another in real-time. Since then, it has been undergoing various updates and if it continues in the same way. We will soon be able to enjoy high-quality international communication – eradicating the language barriers. Machine learning is predicted to be used along with the automation of system resource allocation for mobile apps to cut down the unnecessary battery consumption. Bhupinder Kour is the Content Writer at Appinventiv Technologies who loves to pen down her understanding and knowledge in simplified and engaging manner. She is an early adopter, likes to stay up to date with the latest trends in the mobile industry and add value to the organization. Besides this, she is fond of reading books, writing short stories and finding answers on Quora.